Plans for a ‘concrete-crushing plant’ in Yapton have received dozens of objections from angry residents. Now the company is seeking permission for a new inert waste recycling facility on land next to the existing MRF and has submitted an application to West Sussex County Council. It would enable TJ to produce secondary aggregates from inert waste, which objectors have described as ‘concrete-crushing’. The proposed development includes a new building to house the recycling operation. Waste would either be directly delivered from construction sites or from the adjoining MRF. The company had a similar facility at Portfield Quarry in Chichester but this site has now closed due to redevelopment meaning TJ has been searching for alternative premises. 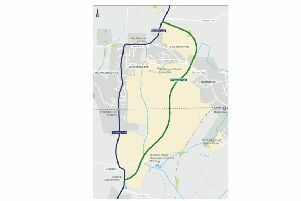 Both Yapton and Clymping parish councils have objected to the application, arguing that the site is in the countryside, while the operations would increase traffic and have a negative effect on residents. The application has already attracted more than 80 objections. They have raised concerns about an increase in traffic, dust pollution, noise and the site’s proximity to residential properties. But according to TJ’s application: “There is also a county need to provide a facility as there is currently a capacity gap. “There are economic, social and environmental benefits to be achieved by operating the business from this site. This has been demonstrated by analysing the carbon emission savings and diverting waste from landfill disposal. To view the application or comment visit www.westsussex.gov.uk/planning using code WSCC/002/19/CM.